There are lots of astronomy pictures on the Internet, from the newest Hubble Space Telescope image to “my latest picture of M42.” But most of these images are there just to be pretty pictures. 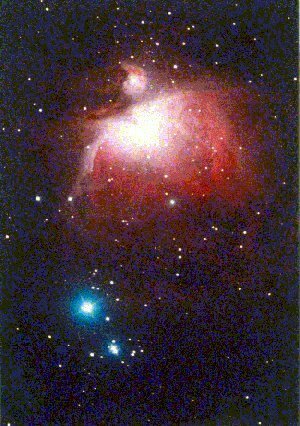 This is OK for the experienced amateur, who can appreciate the skill and effort that go into creating a fine astrophoto. But for the novice just learning his or her way around the sky, the determined amateur pursuing a Messier Certificate, or a school student looking for information for that science paper that needs to be written, most astronomy information on the Internet is either too technical, or not technical at all. Enter the Constellation Home Page. 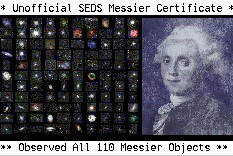 The AAAA plans to dig into its extensive collection of constellation slides, combine them with lively descriptions written by Rick Raasch of Dallas, include basic data on the Messier objects with a useful constellation map, and have a page for all 88 constellations. Many pages are already in development, with more on the way. The sky is divided up into 88 areas, known as constellations, which serve as a convenient way of locating the position of objects in the sky. The stars of a constellation usually have no physical connection between one another: although they appear in the same direction in the sky, they are actually at vastly differing distances from us. Constellations come in many different shapes and sizes. The largest constellation, Hydra, the water snake, is a long and rambling figure that covers an area of sky 19 times greater than that of the smallest constellation. Crux, the Southern Cross. Some constellations consist of easily recognizable patterns of bright stars, such as Orion, while others are faint and difficult to identify. The tradition of dividing the sky into constellations began thousands of years ago when ancient peoples assigned certain star patterns the names of their gods, heroes, and fabled animals. With few exceptions, the star patterns bear very little resemblance to the people and creatures they are supposed to represent; the connections are symbolic rather than literal. The ancient Greeks recognized a total of 48 constellations, including the 12 constellations of the zodiac, through which the Sun passes on its yearly path around the sky. (The Sun's path through the sky is known as the ecliptic.) Various other constellations were added at later times. Early celestial cartographers drew the constellation figures as they pleased, for there was no standardized shape for each one, nor was there even a generally agreed list of constellations. Each cartographer was free to introduce new constellations of his own invention, and to amend or omit the inventions of others. Constellation figures frequently overlapped one another, and sometimes stars were shared between two constellations. This state of confusion persisted until 1930 when the International Astronomical Union, astronomy's governing body, adopted the list of 88 constellations that we know today, and set down their exact boundaries. There is no particular reason why we should have 88 constellations, or why they should be the shape they are. Rather like the political map of the world, the subdivision of the sky is an accident of, history. But unlike the countries of the world, the names and the borders of the constellation are not likely to change until the slow, steady movements of the stars, known as their proper motions, render the existing constellation shapes unrecognizable, thousands of years from now. Star brightnesses are expressed in terms of magnitudes (abbreviated mag.). This system was started by the Greek astronomer Hipparchus in the second century B.C. He divided the stars into six categories of brightness, from the brightest stars (first magnitude), to the faintest stars that he could see (sixth magnitude). Nowadays, star brightenesses are measured to the nearest hundredth of a magnitude by sensitive instruments known as photometers. A difference of five magnitudes is now defined as being exactly equal to a brightness difference of 100 times. Gerhard Moosmann, a member of the Amateur Astronomers of Vorarlberg in Germany, has created a web page showing how the names of the 88 official constellations are said in various languages. Your idea is FANTASTIC! I love everything about it. A wonderful resource on the net. The only addition (well, the only one I can think of that is actually reasonable) is to add the various features in the AL Observing Lists to the table, like the Double Stars, the Herschel 400 and Herschel II, etc. It occurred to me to suggest that a simple drawing of the constellation would be a good addition, but I have thought better of it. Everyone that might use your pages already has a planisphere or other chart, so the only way to actually include useful data is to display detailed charts, and that's clearly not in the scope of the project. Your layout and content choices are excellent as they are. Good narrative descriptions of what an observer can expect to find are too rare, and I certainly want to encourage you as much as possible. Perhaps this site will grow to be a sort of "on-line Burnham's Handbook." heh. To repeat: Your work is FANTASTIC! I love it. I'm gonna join up.